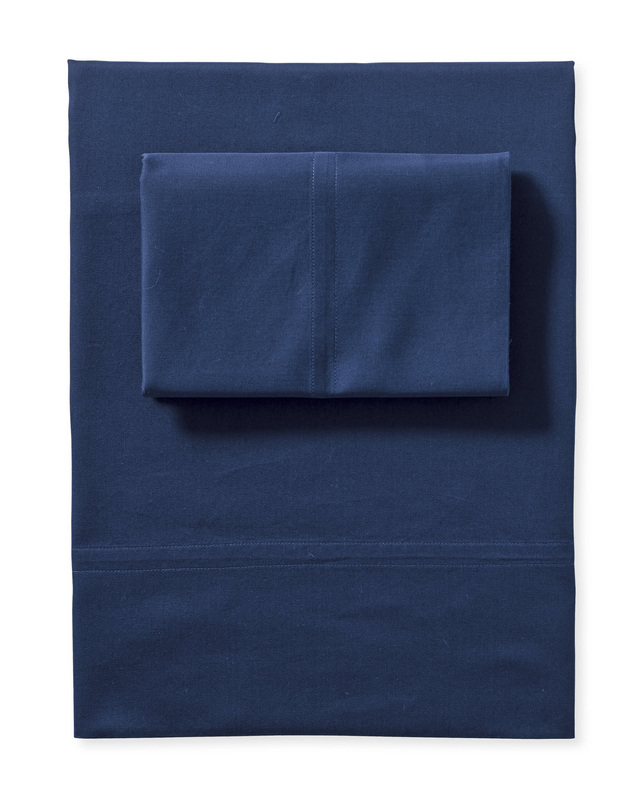 Sorrento Washed Sateen Sheet SetSorrento Washed Sateen Sheet Set, Navy alt="Sorrento Washed Sateen Sheet Set, Navy"
Print Loomed in Italy from specially washed long-staple cotton, our sateen is as dreamy as it gets. 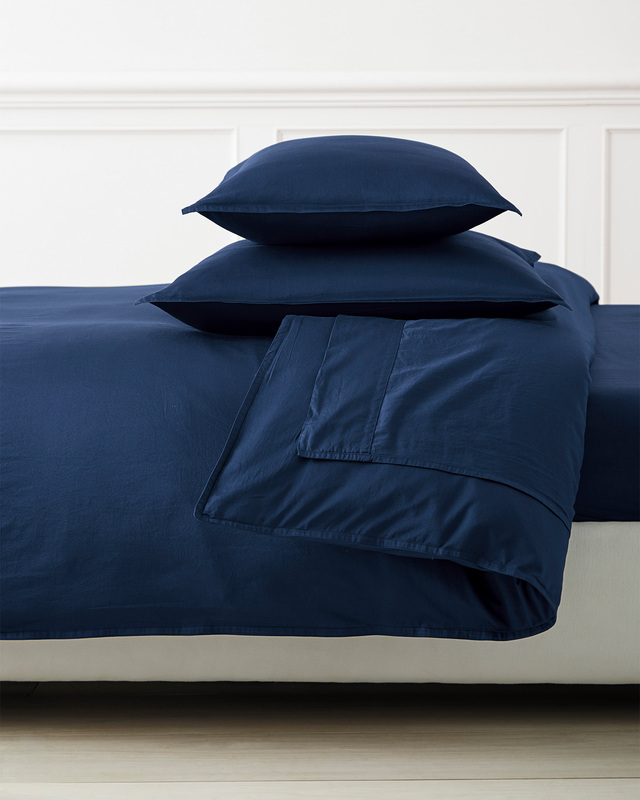 We love its relaxed simplicity, the incredibly soft hand, and the smooth and subtle sheen you can only find in the most luxurious sateen. 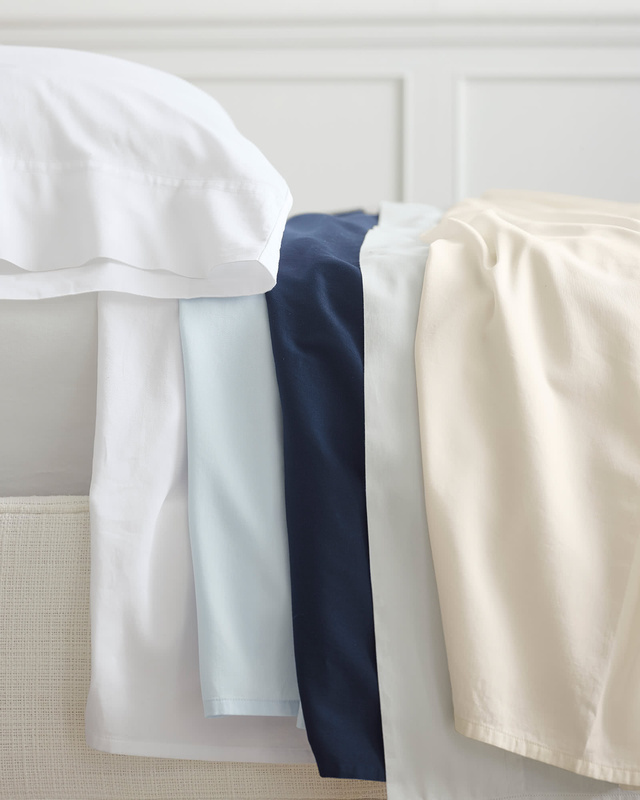 Our neutral palette ensures easy layering, making this a solid foundation for your bedroom retreat. Designed in our exclusive palette. Features a subtle sheen and smooth drape for elegance.